Those of you who have been following my twitter feed will know that I’m a HUGE Shenmue fan. 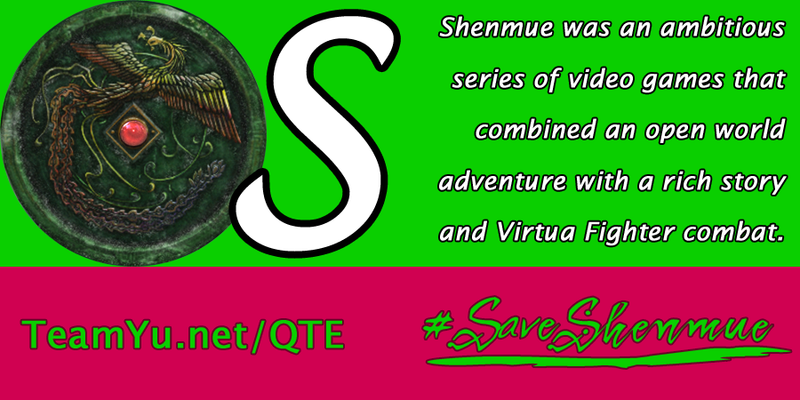 I’ve been taking part in the #SaveShenmue campaign for a while now. It’s my favourite game. Yes, that’s right. My favourite game! Even more than Mortal Kombat, Street Fighter or Ayrton Senna’s Super Monaco GP II. I don’t have the time to go into why it’s so amazing and why I love it so much in this post. I’ll try and do that some other time. 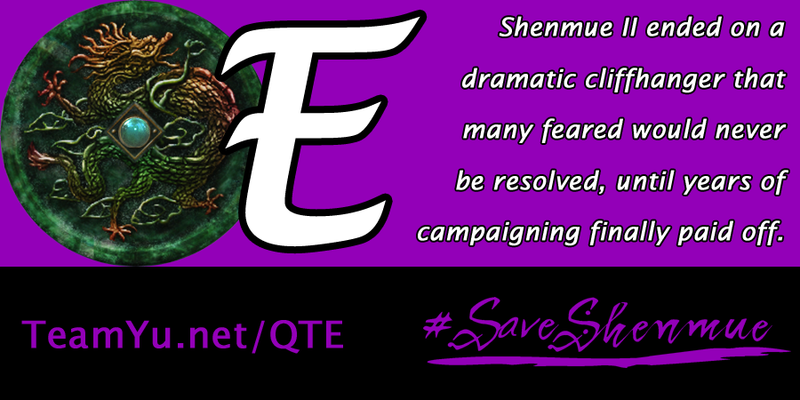 This post is about trying to encourage you to support Shenmue. 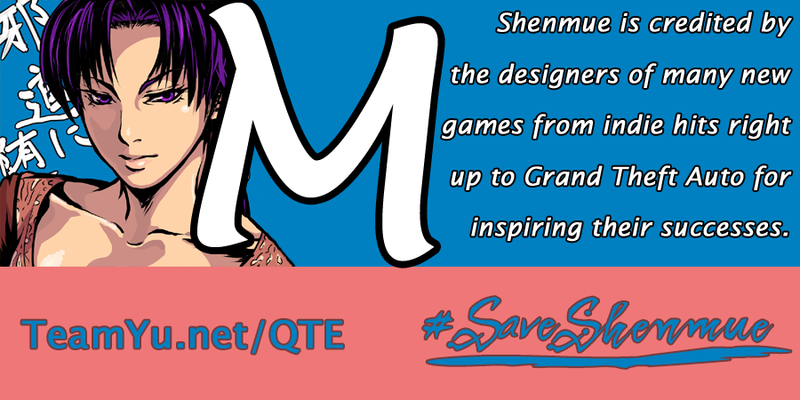 The Shenmue Kickstarter project broke records when it reached $2 million in just over 9 hours! 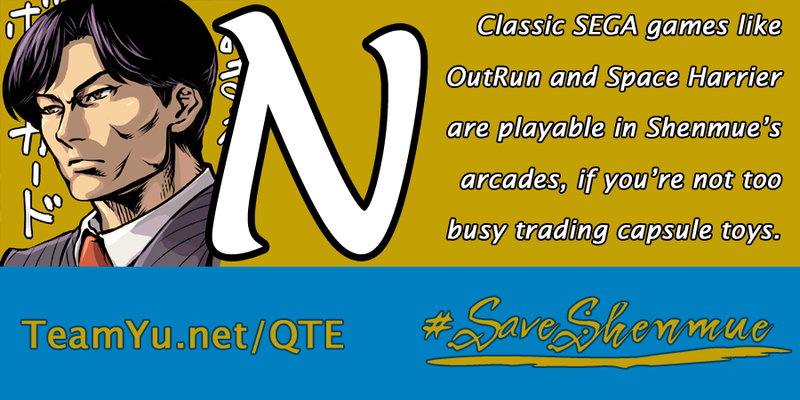 But now it needs a final push to try and get as much money as possible for the budget of the long awaited Shenmue 3 for Yu Suzuki (the genius behind titles such as Virtua Racing, Virtua Fighter, F355 Challenge, Outrun, Space Harrier, Afterburner, Hang-on and others). At the time of this writing, the project has $5, 192, 549 with 34 hours left to go. The more money they can get, the better the game can be. 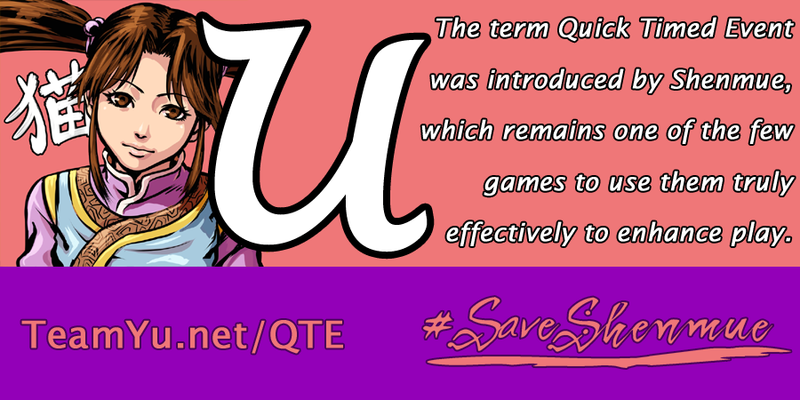 And we’re also trying to break the record for most money raised for a computer game on Kickstarter (currently held by Bloodstained with $5, 545, 992) which will improve its profile and help boost sales when it goes out to release. 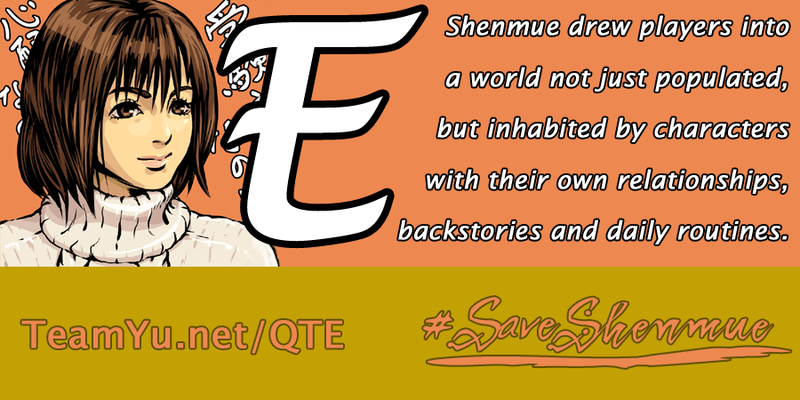 Shenmue is more than just another computer game. It’s a piece of art. 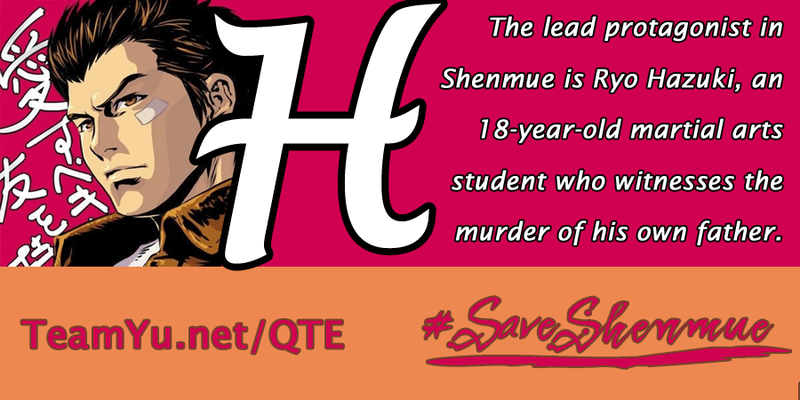 Here’s some info on Shenmue (courtesy of TeamYu.net). Well, the story is that progress is rubbish. I don’t mean terrible. It’s virtually non existent! I had intended to start going to bed early this year. So far, I’ve gone to bed early two out of 282 nights. That’s a success rate of 0.7%! Even if I was to go to bed early for the rest of the year, I’d still only have a success rate of 23%!! Not good! As for my 5 goals. Here’s the current progress. It was the 1st of May, 1994. 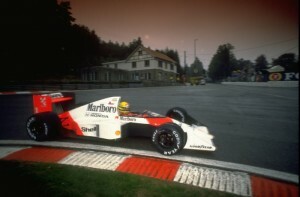 I was in the living room watching the San Marino Grand Prix with my friend David. I was 12 and had only just started watching Formula 1 the year before. I started following Formula 1 about halfway through the 1993 season. It happened almost by accident as I flicked through the channels one afternoon to find the British Grand Prix on my screen. The blazing fast cars, the roaring sound of the engines and the clearly incredible skill required to drive these machines which looked like (and effectively are) upside down fighter jets intrigued me. It was stunning… and I was hooked! So, it’s 2014. Happy New Year everyone! With regards to the first one, I went to bed early twice during 2013. And one of those nights was because I was sick. There are many sides to any individual. This website should reflect my many sides.